I sat down at Jean Georges Steakhouse in Las Vegas and ordered the $125 tasting menu. On cue our waiter dropped off the first course: tuna tartare. Of course I had to ‘gram it. “Sorry! It’s for my job,” I was about to say, when the waiter pulled out a mini flashlight to brighten my plate. “Need some light on the subject?” he chuckled. This is the world we live in. 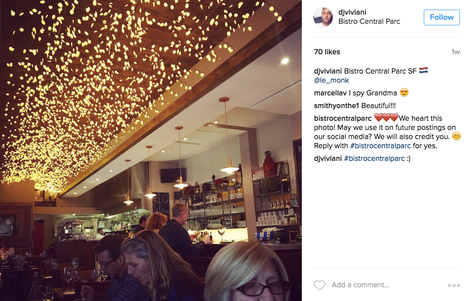 A world where 3 Star Michelin Chefs equip waiters with flashlights for better social media fodder. And it’s not just the lighting. 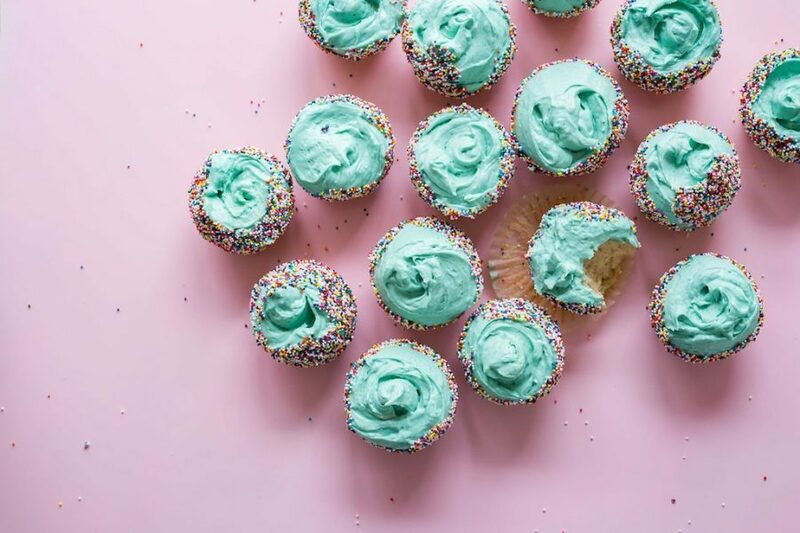 More and more restaurants are creating ornate, fluorescent, sometimes kitchy spectacles specially formulated to stand out in today’s noisy social world. From in-your-face signage to flamboyant decor, every nook and cranny of the dining room can be a conversation piece, an ice-breaker on our Instagram feeds. 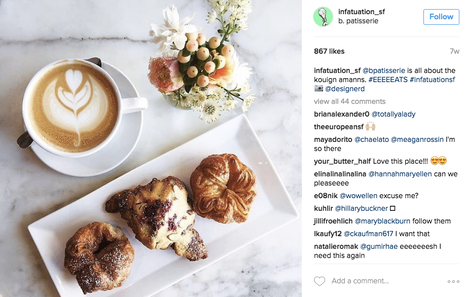 We wanted to know: What makes a restaurant Instagram-worthy? 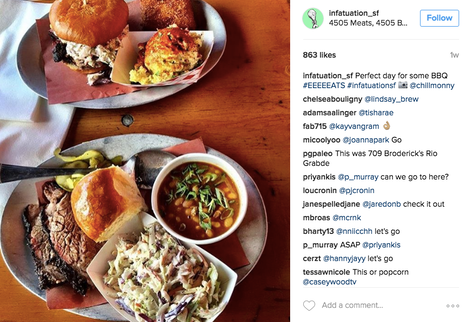 Are certain restaurants more popular on Instagram than they are on say, Yelp? What do they do to stand out? 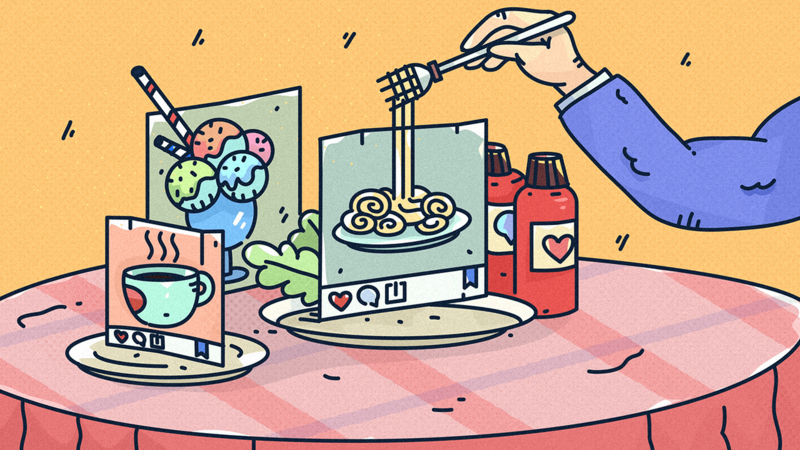 We looked at data from the past year because we wanted to know what was popular right now, and narrowed the list down to 30 based on total number of posts at each restaurant. We got rid of a few non-restaurants such as the San Francisco Ferry Building and that left 27. 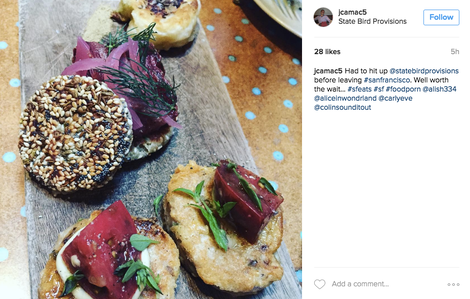 When we cross-referenced our list with Yelp’s most reviewed restaurants, only one restaurant made both lists (props b. pattiserie). 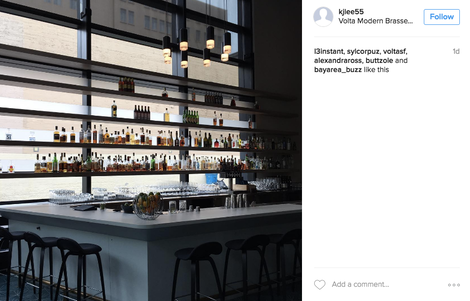 The results were definitive; some restaurants are more “viral” than others. 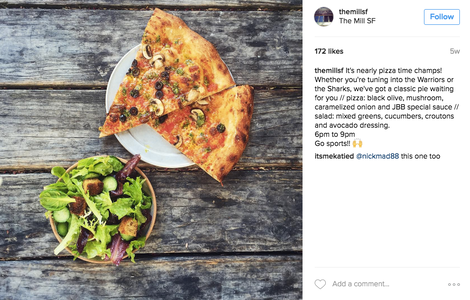 Ranked in order of posts on Instagram, here are San Francisco’s Most Popular Restaurants on Instagram. 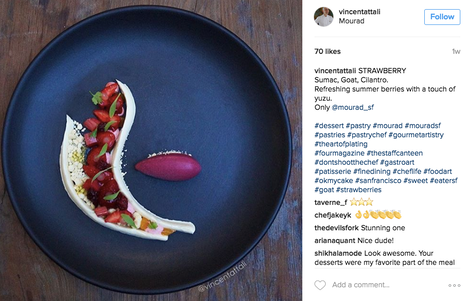 Colorful plating makes this modern Moroccan eatery an Instagram star. Getting a weekend brunch table here is a feat fit for Insta. 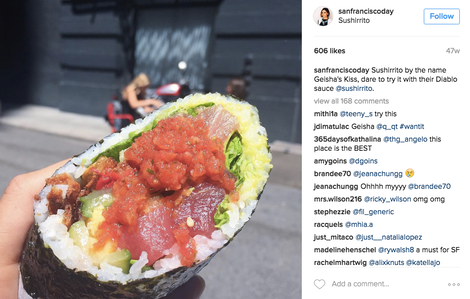 A sushiritto is a spectacle in its own right. It’s definitely the gorgeous outdoor seating on Ghirardelli Square. 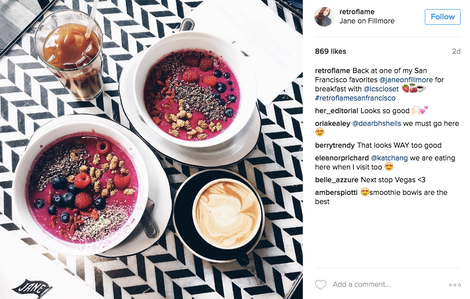 Geometric designs + a vibrant breakfast = Instagram gold. 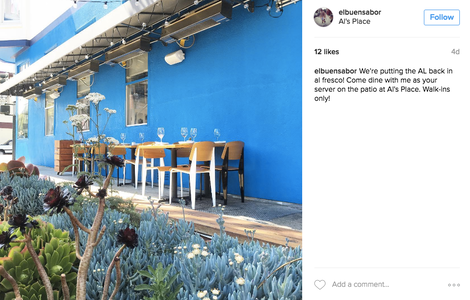 Bright blue paint makes a perfect backdrop for a waffle cone. They only serve pizza two days a week. 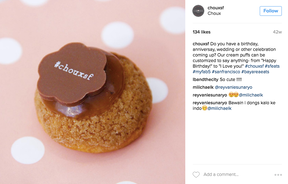 If it’s hard to get, Instagram it. ? Skyline views. Yerba Buena Gardens. Moscone Center. Enough said. 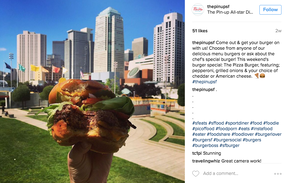 Great views and gimmicky specials like the Pizza Burger make this SoMa hotspot stand out on any feed. 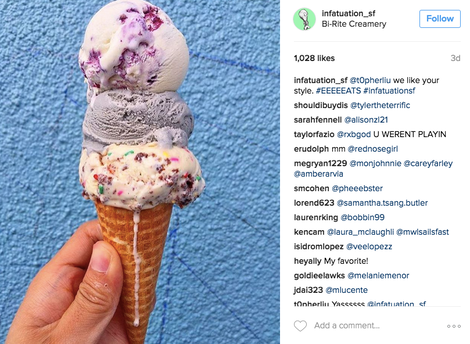 Ice cream made-to-order is a concept custom-made for Instagram. 13. 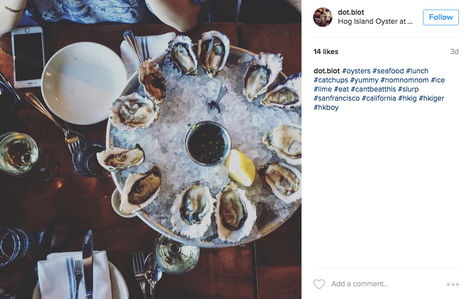 Hog Island Oyster Co.
A highly trafficked location with a highly photogenic seafood platter. The money shot is the millionaire’s bacon. 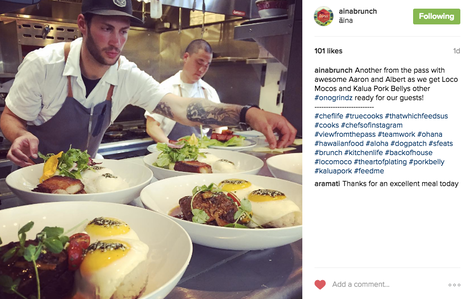 Brunch does well on Insta; Hawaiian gets a bonus point. 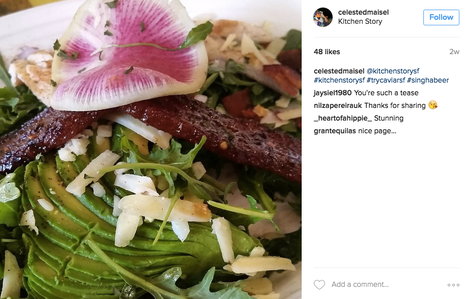 Bright food on wood tables is a recipe for a surefire top post. Anteaters make the best logos. Green drinks don’t hurt either. 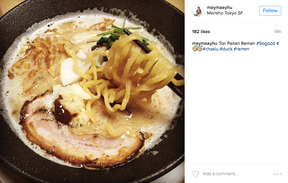 Mensho Tokyo SF is the first expansion of one of Japan’s most acclaimed ramen bars. Hype. 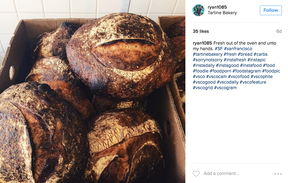 Hot bread fresh out the oven makes for an even fresher Insta. 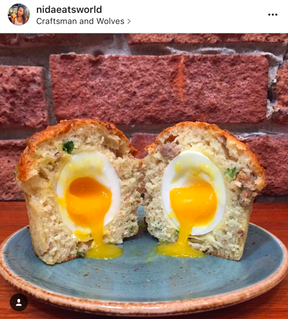 The Rebel Within: asiago, sausage, green onion, soft cooked egg croissant. 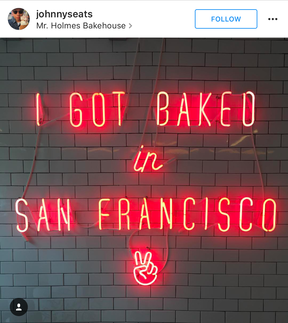 With this sign it’s no wonder Mr. Holmes Bakehouse is #2 on our list. 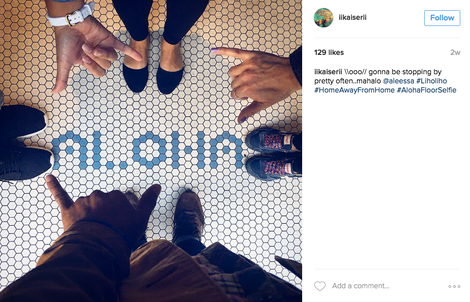 Literally everyone takes a picture of the floor at this Hawaiian hotspot. Want proof? #alohafloorselfie has 816 posts. 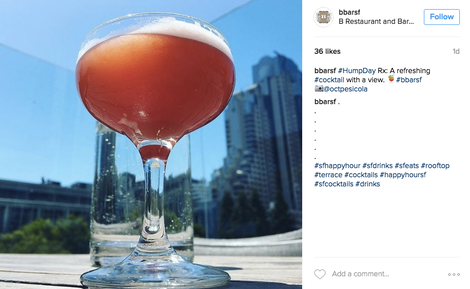 If you’re looking for more of the West Coast’s best eats, consider checking out our other articles on the most instagrammed restaurants in Denver, San Diego, and Portland. Or if you’re interested in overall restaurant trends, and how social media is affecting the modern dining experience, then I’ve got just the thing for you. 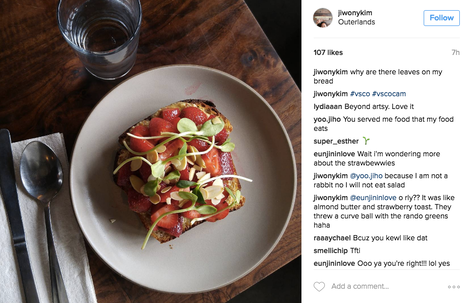 Our article 11 Ways Instagram is Transforming the Modern Restaurant is one of our most popular EVER, and I highly recommend it.